Feb 19, 2013 Our records indicate that we did receive your return and you were issued a full refund in accordance with our return policy. 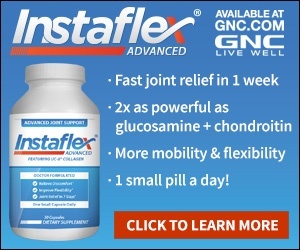 Please don't hesitate to contact us back if you need any further assistance, 877-869-3310.
ordered INSTAFLEX for free sample bottle at a charge of $4.95 which was charged to my credit card I did not authorize any other charges. I received my sample and two weeks later I received a charge of $74.98 on my credit card. I did call and was told to return the package as soon as I received it with a code marked on the package which was about 6 weeks ago. I have made 3 calls to no avail. The second I called I was told I would receive a refund in a few days that was two weeks ago, today I was told that the package has not been received. Review #182877 is a subjective opinion of neldamartx. This is in reference to the date on comment 1. Date correction should be 12-06-2010. Instaflex has made a full refund. Thank You!